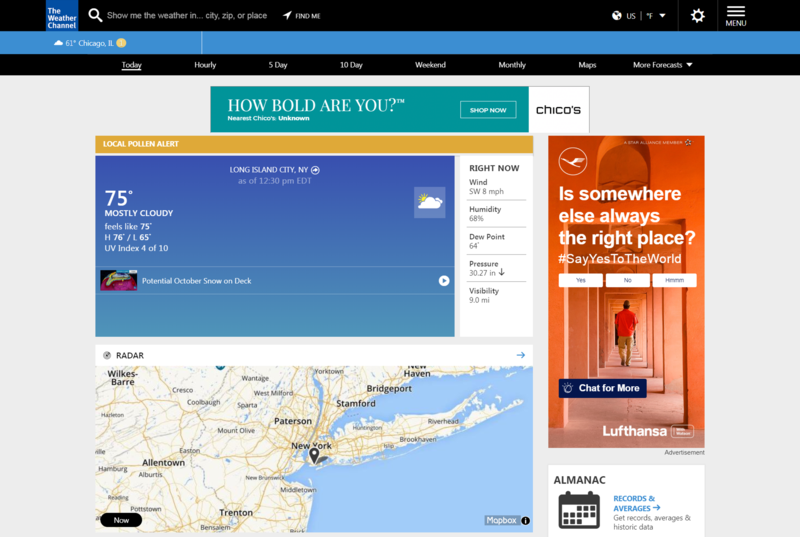 ARMONK, N.Y., Oct. 18, 2018 /PRNewswire/ -- As part of Lufthansa's ongoing global #SayYesToTheWorld brand campaign, the airline has teamed up with IBM Watson Advertising (NYSE: IBM) to launch an AI-powered advertising experience. Lufthansa is the first airline brand to launch an IBM Watson Ads campaign with Watson Advertising. The campaign focuses on exploring a world of new possibilities and saying yes to the unknown. The interactive ads, powered by IBM Watson, provides consumers with the opportunity to interact with Lufthansa for general airline questions and for travel content across 15 European destinations. 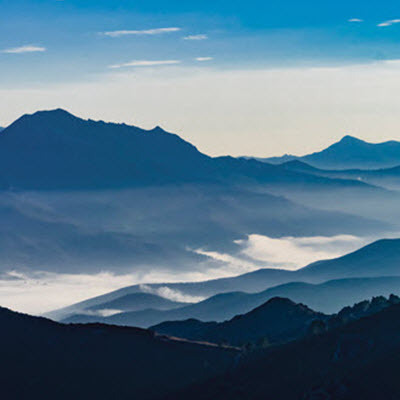 A destination explorer showcases each location and helps the user explore different cities through local travel facts and tips, as well as tailored image galleries and videos, and offers the option for flight reservations. "Lufthansa continues to drive value to the consumer through the use of new and innovative technologies such as AI, both on our aircraft and off," said Benita Struve, Director/Head of Marketing Communications & Campaigns for Lufthansa. 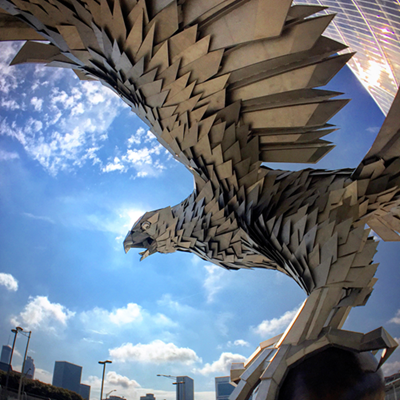 "This marketing campaign not only inspires exciting travel, it also utilizes the most innovative methods to provide a personalized experience." 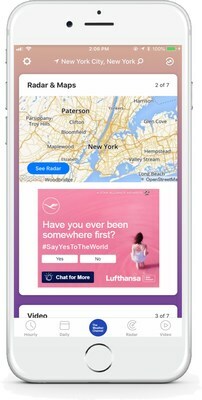 "We are excited to team up with Lufthansa to help consumers discover their next international adventure through an engaging conversation powered by Watson," said Carrie Seifer, VP and Chief Revenue Officer, IBM Watson Advertising. 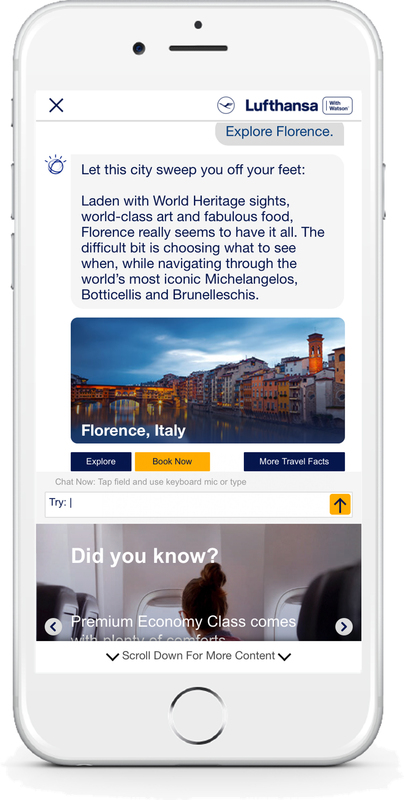 "With the help of AI, Lufthansa is able to invite consumers into an enjoyable exchange within an interactive ad unit to learn about a range of topics from key destinations to in-flight experiences." Cities featured include: Athens, Greece; Barcelona, Spain; Berlin, Germany; Budapest, Hungary; Copenhagen, Denmark; Florence, Italy; Frankfurt, Germany; Krakow, Poland; Milan, Italy; Munich, Germany; Oslo, Norway; Paris, France; Prague, Czech Republic; Rome, Italy; and Stockholm, Sweden. 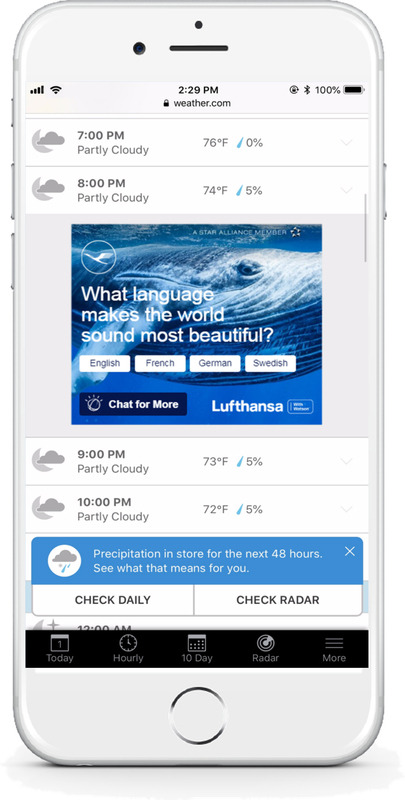 The AI-powered ad is available on weather.com, The Weather Channel app, and across Lufthansa's digital advertising ecosystem. The Watson Ad is trained with a body of knowledge provided by Lufthansa to enable a natural language dialogue that invites potential travelers to explore international locales and familiarize themselves with Lufthansa's services. 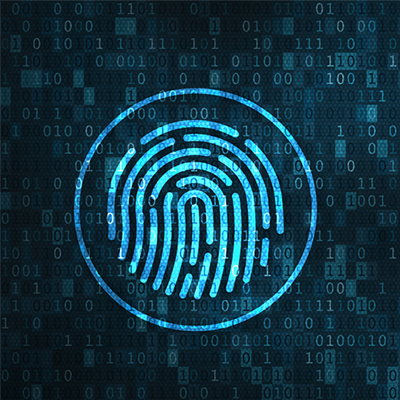 As users interact, the AI-powered ad experience gathers information that can help provide insights to help guide future business and marketing strategies. In addition to the Watson Ads campaign, the #SayYesToTheWorld campaign includes Digital, Out of Home, Mobile, Print, Social and Cinema ads. The campaign reflects Lufthansa's mission to inspire people to see and explore the world and open their minds to new experiences. Launched in June 2016, Watson Ads are an industry-first AI-powered interactive ad unit that delivers hyper-personalization at-scale along with actionable insights. These interactive AI-powered ads enable brands to have meaningful one-to-one conversations at scale with consumers wherever they may be in their path to purchase. Watson Ads have launched in multiple industries including automotive, consumer healthcare, consumer packaged goods, entertainment, hospitality and retail. The Lufthansa Group is the world's biggest airline group in in terms of revenue and is also the market leader in Europe's airline sector. The Group strives to be the "First Choice in Aviation" for its customers, employees, shareholders and partners. And safety, quality, reliability and innovation are the prime credentials and priorities of all its business activities. The Lufthansa Group is divided into the three strategic areas of Hub Airlines, Point-to-Point Business and Service Companies. The Group's network carriers, with their premium brands of Lufthansa, SWISS and Austrian Airlines, serve its home market from their Frankfurt, Munich, Zurich and Vienna hubs. With its Eurowings brand, the Group also offers short- and long-haul point-to-point services in the growing private travel market. And with its service companies, which are all global market leaders in their individual industries, the Lufthansa Group has found success in further areas of the aviation business. The Lufthansa Group's airlines currently (Summer Schedule) serve 343 destinations in 103 countries on four continents and offer 25,128 weekly frequencies. The Group's total fleet comprises some 728 aircraft and its member airlines will be taking delivery of 174 new aircraft between now and 2025. In 2017, the Lufthansa Group employed around 130,000 personnel, welcomed 130 million passengers aboard its flights and generated sales of around EUR 35.6 billion. The Lufthansa Group is headed by its five-member Executive Board. Carsten Spohr is Chairman & CEO; Thorsten Dirks is in charge of Eurowings and aviation services; Harry Hohmeister bears responsibility for the commercial management of the Group's hub airlines and airports; Ulrik Svensson is head of finance and IT; and Dr. Bettina Volkens is in charge of HR and legal affairs. For further information please visit www.lufthansagroup.com. A world leader in AI software, services, and technology for business, IBM has deployed Watson solutions in thousands of engagements with clients across 20 industries and 80 countries. 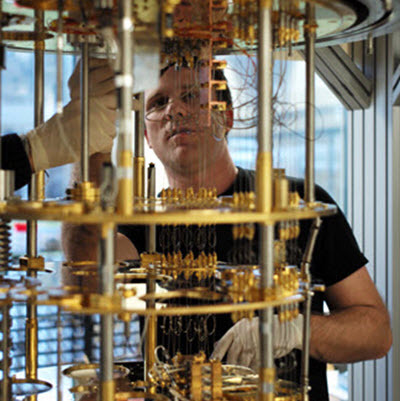 IBM's Watson solutions are widely used in industries, including by 7 of the 10 largest automotive companies and 8 of the 10 largest oil and gas companies.